With a stay at Hotel Antigo Trovatore, you'll be centrally located in Venice, steps from Bridge of Sighs and 4 minutes by foot from St. Mark's Basilica. Featured amenities include complimentary wired Internet access, a 24-hour front desk, and multilingual staff. With a stay at Ai Lumi in Trapani (Trapani City Centre), you'll be within a 15-minute drive of Cattedrale di San Lorenzo and Museo Regionale Pepoli. The front desk is staffed during limited hours. With a stay at this apartment in Cefalu (Old Town), you'll be steps from Church of Purgatory and Palazzo Piraino. With a stay at AffittaSardegna - Ortensia Apartments in Stintino, you'll be within a 10-minute drive of La Pelosa Beach and Museo della Tonnara. Free self parking is available onsite. 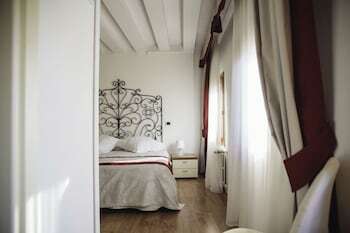 San Marco - WR Apartments offers accommodations throughout the area in Venice.